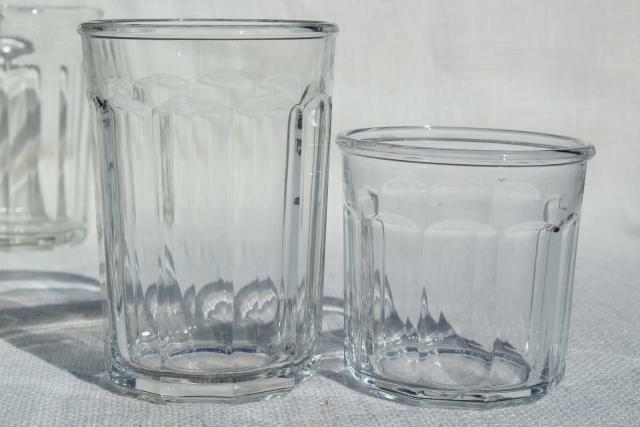 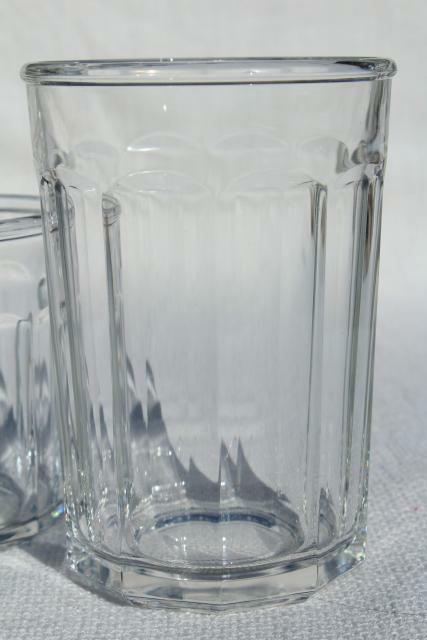 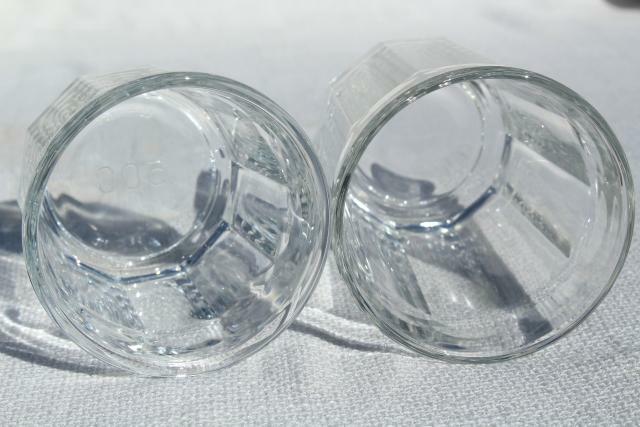 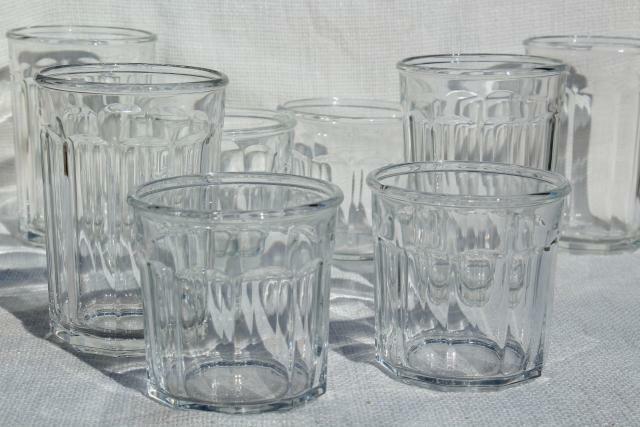 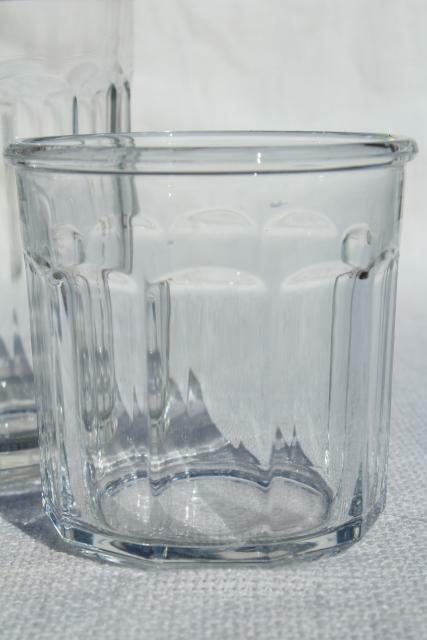 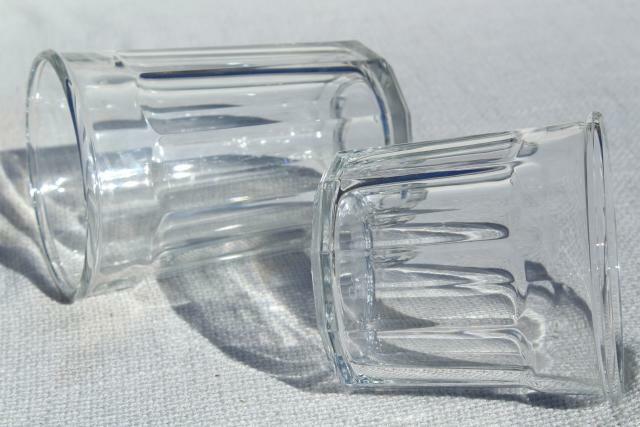 Set of Luminarc - France kitchen glass tumblers / jelly jars - these are a classic! 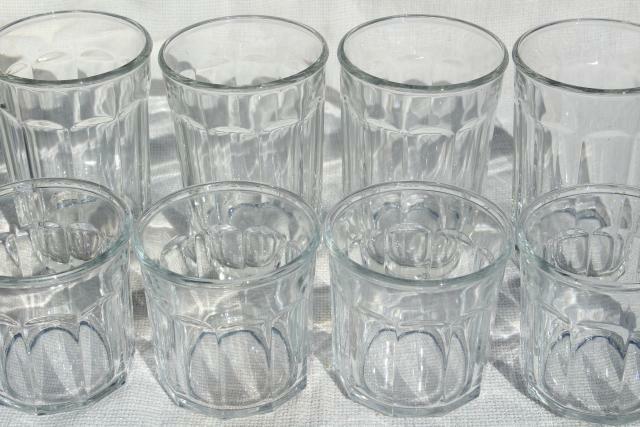 These are all in excellent condition. 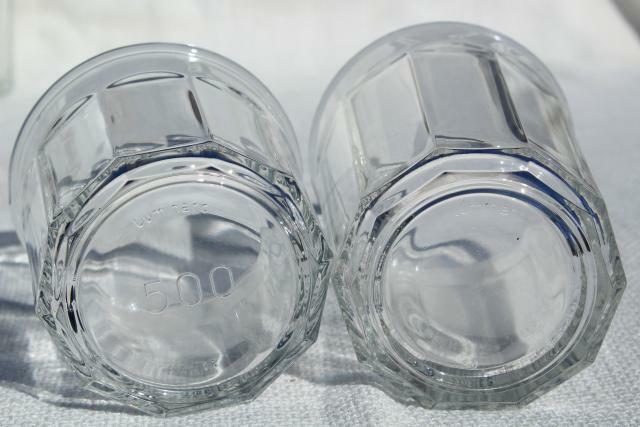 There's four each of the cooler size (these are the taller ones, 5 1/2" x 3 3/4" across the rims) and the old fashioned size (3 3/4" x 3 3/4", marked 500 on the bottoms.